This is an off the wall question, but I have marked some discussion items from the community as "liked" but cannot find where I access the list of threads that I marked. Great question! 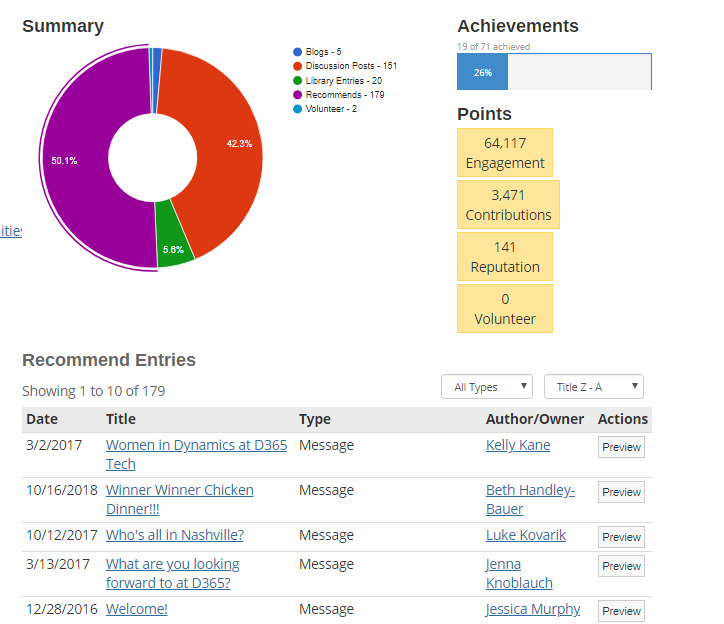 If you go to your profile and view your MY CONTRIBUTIONS>SUMMARY page (https://www.crmug.com/crmug/network/members/profile/contributions/contributions-summary), you'll see a donut chart of your activity. If you click on the 'Recommends' (purple) part of the wheel, all your 'likes' will come up! To filter to just see discussions, where it says 'All Types' you'll want to switch to 'MESSAGE'.